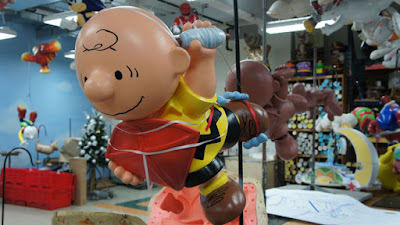 The FiveCentsPlease Blog: Charlie Brown returns to the sky! It's going to air on almost all NBC affiliates as usual, right? Last year I noticed WADL Detroit aired the Macy's Parade as Detroit's NBC affiliate WDIV of course preempted it for it's own broadcast of the Detroit parade. Hopefully WADL still has that deal to air it this year. Yes, the Macy's Thanksgiving Day parade will be broadcast by NBC on Thursday, November 24, from 9 AM - Noon (start time is 9 AM local in all time zones); it repeats from 2 - 5 PM the same day. If you have questions about what the Detroit affiliates are going to do, you should check with them.